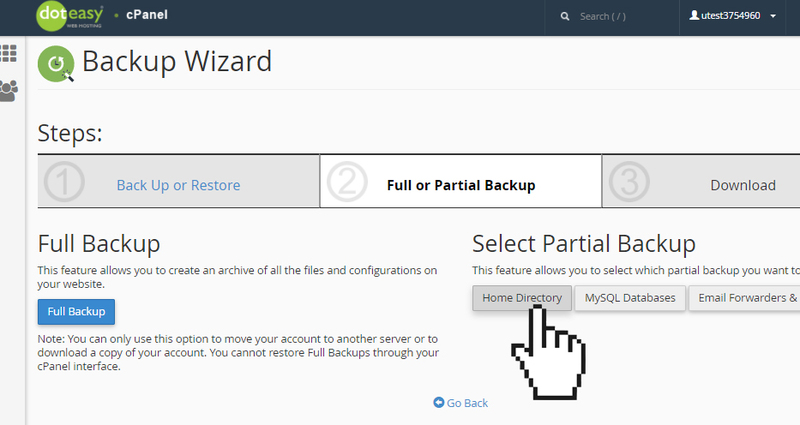 This partial backup includes all the files and data within your home directory, including the public_html folder. 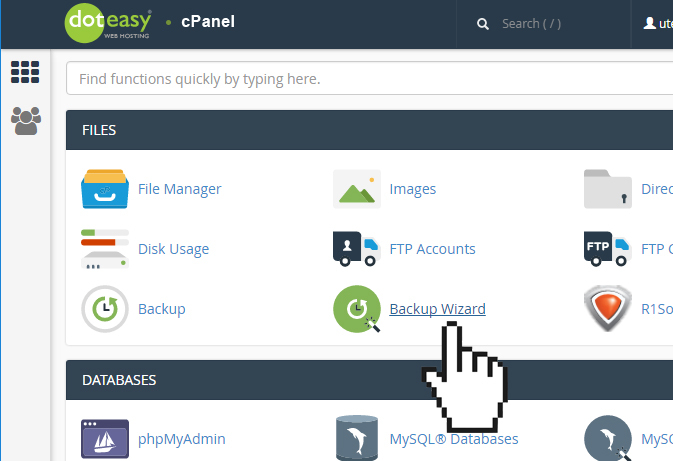 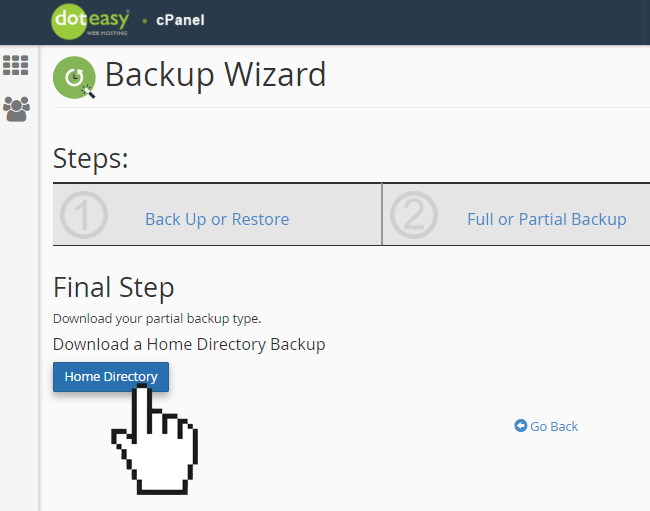 Under Select Partial Backup, click Home Directory. 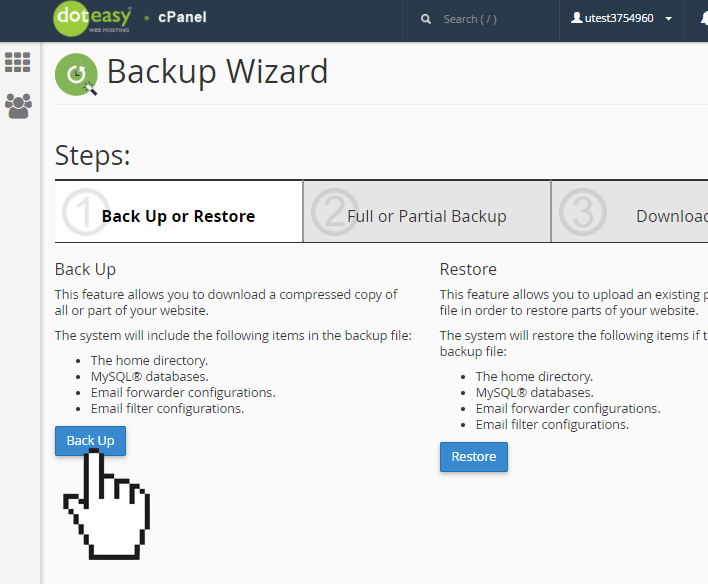 Click Home Directory to begin the backup process.